So What Is the Best BTC Exchange For Me? 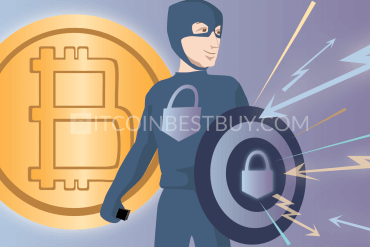 How to Buy Bitcoins Anonymously in the Netherlands? It’s so easy to get lost in a wide variety of exchanges offering their services with roughly the same benefits. We’ve made an extended review of digital platforms. All of them will eventually help you to trade BTC. 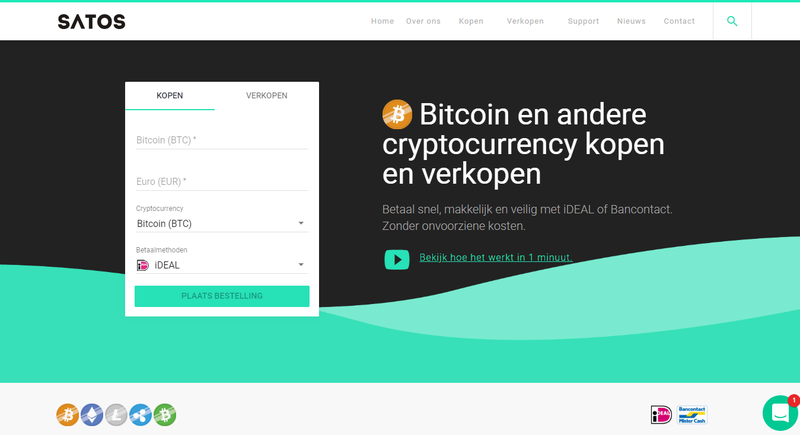 Register an account at the exchange of your choice that offers BTC in the Netherlands (in our case, Coinbase). Your are obliged to complete identity check process by providing your scanned ID and utility bill. Click “Buy/Sell” button and then choose “Buy” form. Fill out the purchase details, listing the number of bitcoins you wish to buy. Choose a payment method (either credit card or bank transfer). Withdraw coins from Coinbase to your external wallet by clicking “Withdraw” button at “Wallet” section. 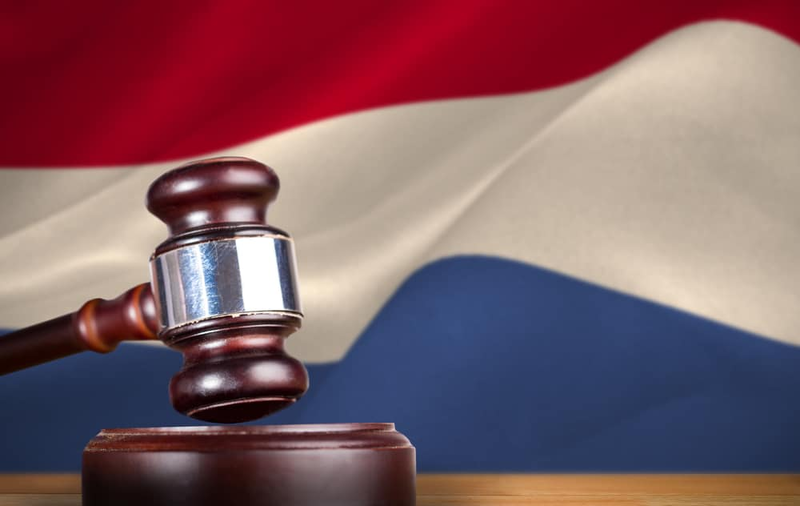 Is Bitcoin Legal in the Netherlands? How to Safely Store Coins? Bitcoin started becoming the rage on social media, financial online news and online discussions. It is befitting for it to be of interest to those who dwell and trade online. Suitably, as one of the most popular cryptocurrencies — as a digital asset, or a medium for trade online that provides a relative sense of anonymity, ease of purchase and privacy. In this guide, we will discuss the trade, exchange and the nature of buying bitcoins in the Netherlands, as an aspiring market and a platform for BTC. We provide quick analysis of safe platforms where you can purchase bitcoin, analyzing indicators such as available purchase methods, verification requirements, fees, security and other features. BTC is still a young currency and a new economic tool. Even though it was used in trade and barter since 2009 — as the first decentralized cryptocurrency, its implementation and usage are relatively new when it comes to its weight in the economy. According to BTC ATM map, there are a total of 18 ATMs operating in the Netherland, giving the notion that BTC is legal to use in the Netherlands. Since 2017, it is legal to deal with Bitcoin in general. Yet, there is no specific section that the Act on Financial Supervision tackles on cryptocurrencies in Netherlands. It means, it is not controlled by the government and can be seen mostly as grey business area as for now. If you want to buy Bitcoins in the Netherlands, you will need to start by making a Bitcoin wallet — which can be a hard or hot wallet — and consider the best exchange for you. 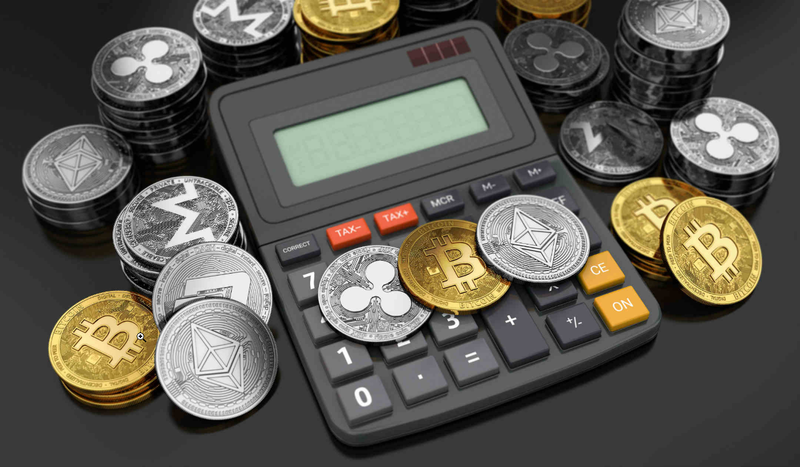 Exchanges differ in terms of transaction fees, verification requirements & privacy, fiat currencies accepted and payment methods that include bank account transfers, bank cards, cash deposits, and many others. We will proceed by skimming quickly through the best Dutch brokers for trading in BTC, many of them based in the Netherlands. 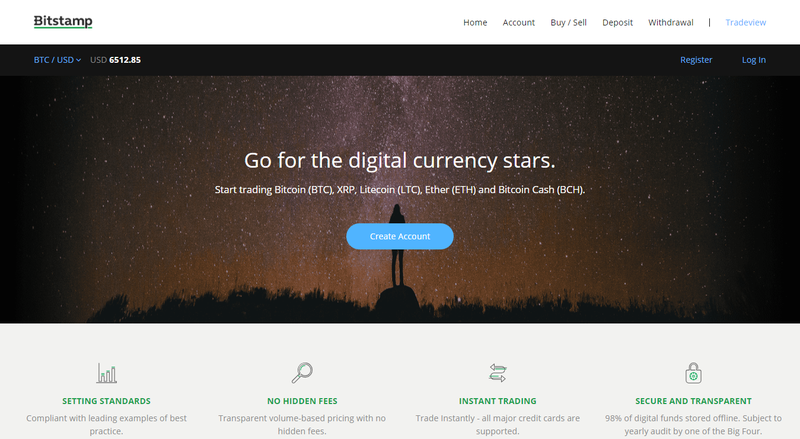 Bitstamp is one of the largest and reputable BTC exchanges, dealing with purchases mostly via several channels of payment, such as bank and credit card deposits (SEPA transfer and international bank wires included). You have taker/maker fee structure that has costs based on volume you may have acquired on monthly term. These costs can go as low as 0.1% and at highest 0.25%. You do need to complete verification process in order to purchase bitcoins while 2FA is available for protection of your account. relatively low maker & taker costs. verification is a must-do to trade coins at Bitstamp. 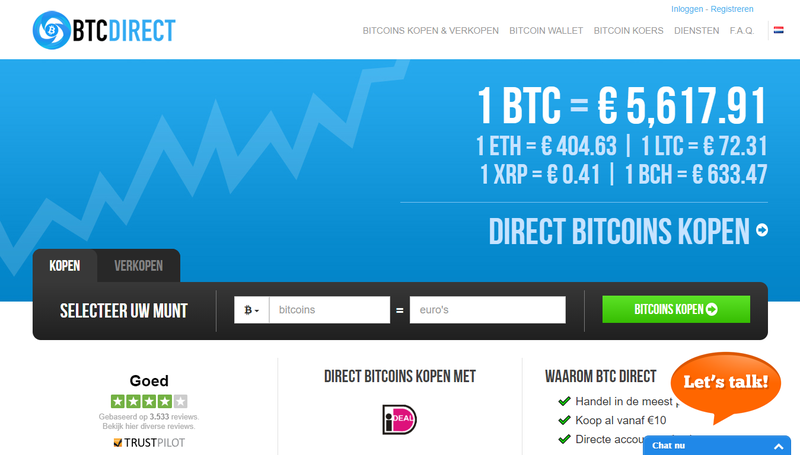 BTCDirect is a cryptocurrency exchange that works with the countries located within the European region. 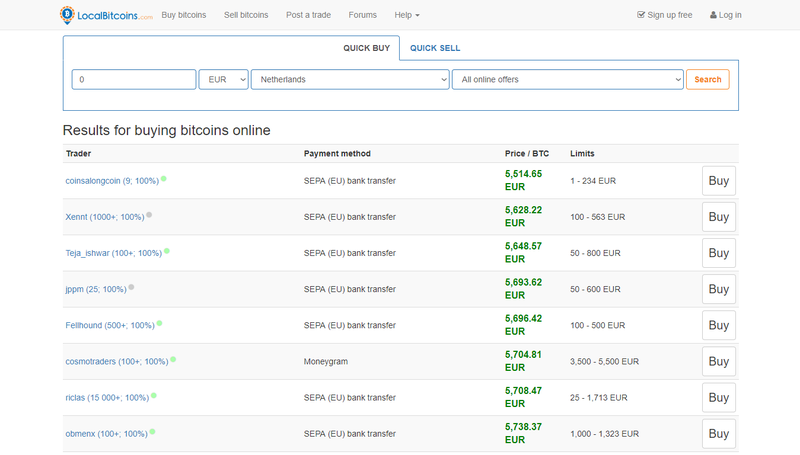 It enables you to buy BTC in the Netherlands using several methods such as bank transfers & cards, SOFORT and Giropay. Accepted fiat money isSOFORT EUR only while privacy is held through lack of KYC and AML requests. Thus, you can purchase coins without any sort of documents needed from you. As for the fees, you have 2% transaction fee in addition to the used payment option. CRXzone is a trade exchange where you can use powerful API tools to get the most from the crypto industry. The marketplace is designed for experts in the field, as margin trading is the main platform of the website. As for the fiat currencies, you have only SGD and USD. Although available in the Netherlands, you cannot purchase bitcoins and trade with them using EUR. Skrill takes 3.5% in addition to maker/taker fees. 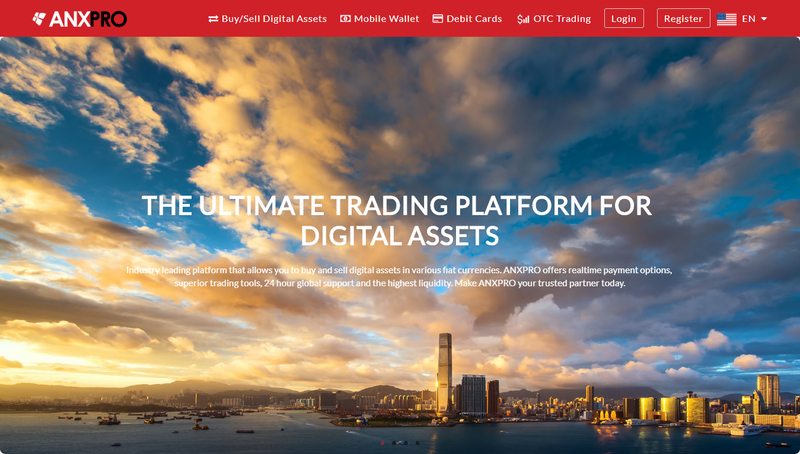 ANXPRO is a bitcoin exchange that operated from Hong Kong. Its main method of dealing is via using bank transfers. 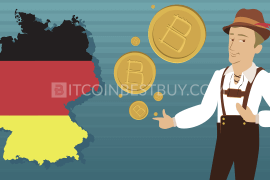 It is considered to be one of the pioneers when it comes to BTC trading though it does not offer EUR trade for Dutch traders as you can use USD only. Only bank transfers are available for a fee of 1% + $25 with 0.2% being additional trade fees. Only verified users can purchase coins at ANXPRO. large volumes can be purchased with a verified account. deals only with bank transfers. 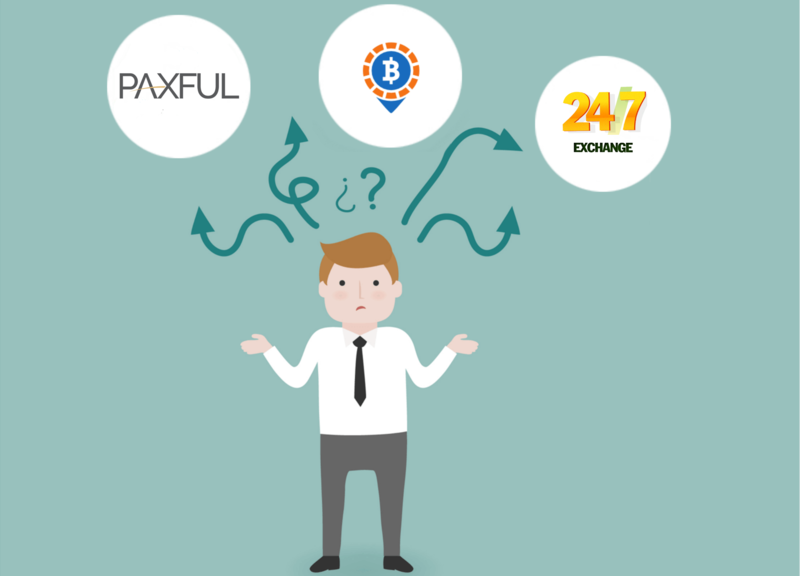 Paxful is a reasonable choice if you want to buy bitcoins in the Netherlands since peer-to-peer (P2P) market is supported by many Dutch traders. 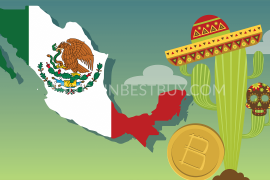 It offers a large number of payment options, conducted through EUR payment (alongside with many other fiat currencies) for a fee of 1% that sellers pay. unverified users can buy BTC easily. each ad, in most cases, has very small amount of bitcoins for sale. 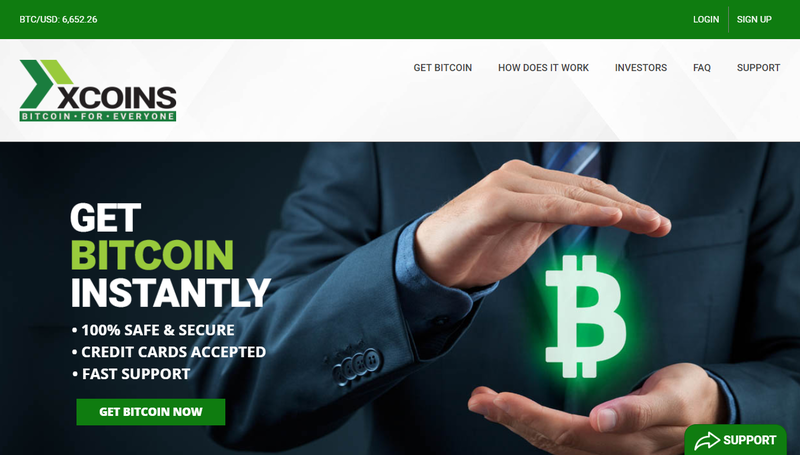 Aside from the great choice of naming, Cryptonit is an online BTC trading exchange that was founded in 2012, in London, UK. They focus mainly on the European market which is suitable for traders originating from the Netherlands. You have credit cards and bank transfers available for you to buy cryptos while fees range between 2% and 4.5%. good liquidity rate for large purchases. requires ID verification for trade to take place. Broker #bitcoin-otc is an online exchange which provides an over-the-counter trading environment as the name suggests. Broker #bitcoin-otc works with a P2P system where users create ads for their purchase requests or proceed to locate suitable ads that are fulfilling their needs. possibility to find large batches of bitcoins for sale. interface is slightly confusing for beginners. Uphold is a fast, growing exchange platform for moving, converting and holding any form of monetary derivatives. Recently, its focus is mainly on storing in cryptocurrencies, changing from flat currencies BTC. As for the costs, credit card funding has a fee fixed at the rate of 3.99%. Bank account deposits, on the other hand, are conducted for free. You should also account for BTC’s conversion fee of 1.05%. it allows converting your funds within the range of 30 fiat currencies, EUR included. the interface can be tricky to use and master for beginners. 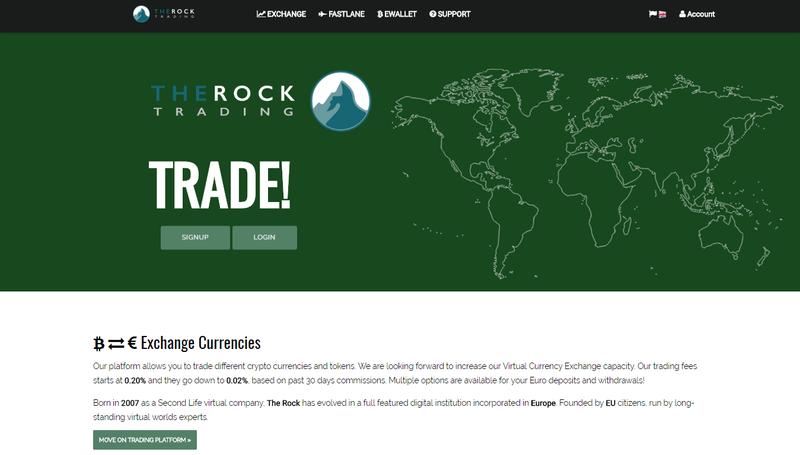 The Rock Trading Ltd is yet another online exchange that allows you to easily buy or sell BTC, Litecoin, Peercoin, Zcash, or XRP. A peculiar fact about it is that it started as a virtual company in 2007 as a Second Life Company. Second Life is an online game in which players can trade for items and in-game status, much like VirWoX. it supports dealing with Euros or USD. low trade fees between 0.02% and 0.2%. only bank transfer and OKPay available as deposit methods. 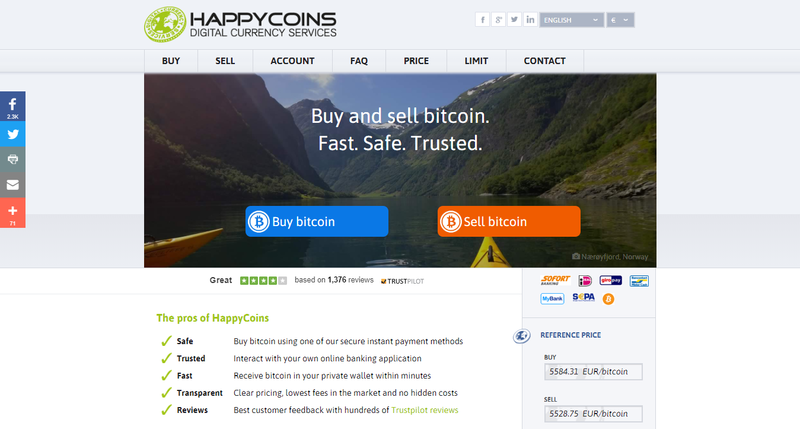 Back to exchanges based in the Netherlands, HappyCoins provides services to customers and clientele with the help of several payment options, including SEPA, Giropay, SOFORT, iDEAL and MyBank. Fees are shown only when you purchase coins at the checkout while EUR is the only available fiat currency. 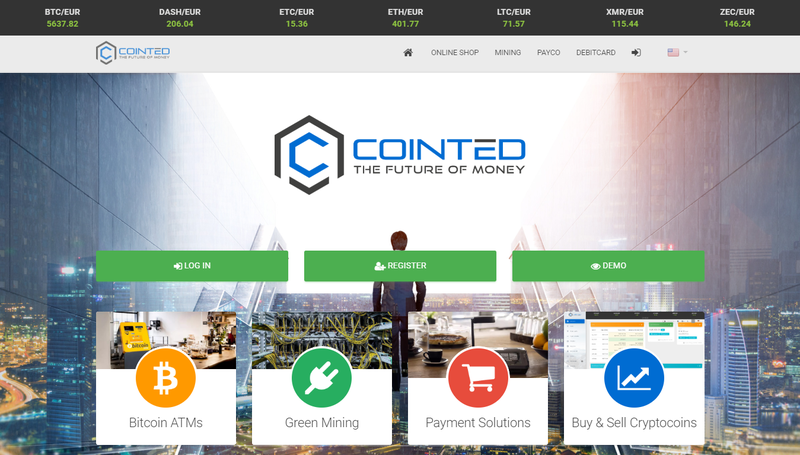 Coinfloor is an exchange based in the United Kingdom. 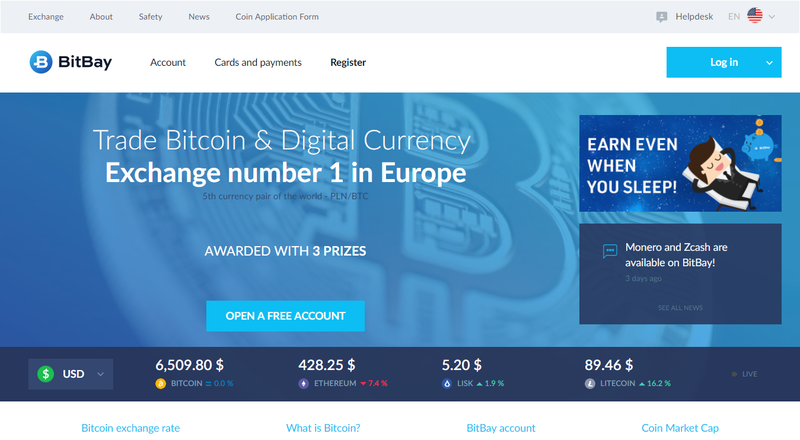 It is considered to be one of the popular exchange platforms for BTCs in Europe. It works simultaneously as a BTC exchange and a broker referral service provider. Coinfloor operates with a wide range of fiat currencies which makes it easier to buy BTC from all over the world. You can fund your account using bank transfers expressed in GBP, EUR and PLN currencies. trustworthy and under restrict regulation and monitoring. 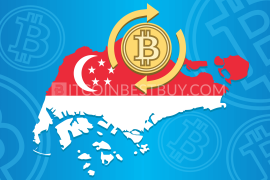 Another exchange platform in the list based in Hong-Kong, which is also the largest in terms of USD to BTC trade in the world. 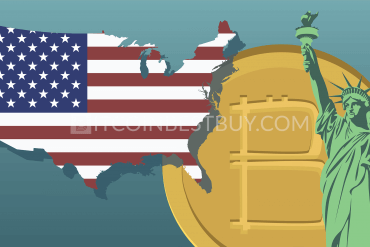 Bitfinex specialized in trading bitcoin with USD and the account created on it may be funded by wire transfers only. 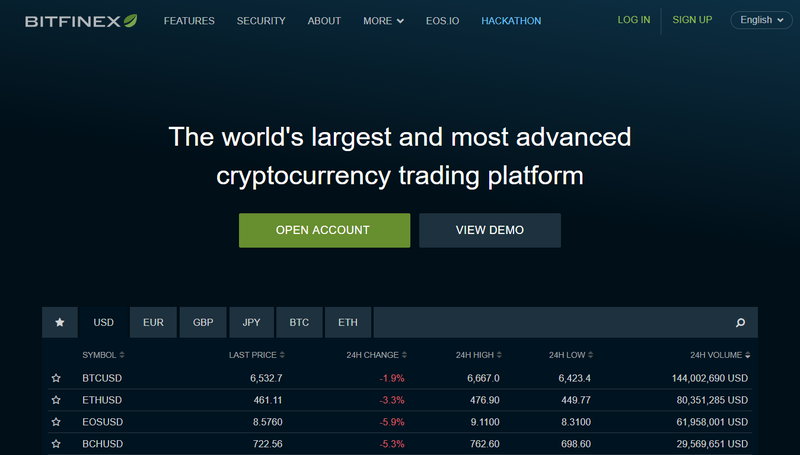 It has recently improved its security greatly, including verification requirements, due to the hacking incident in 2017.
supports trading with a large number of altcoins. still compensating the users for a previous hack. Safello is another online platform exchange, only this one is based in Sweden. The special thing about Safello is that it is fully registered as a financial institution. 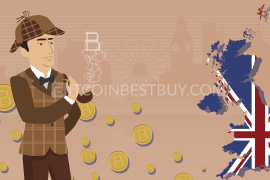 It is considered a powerhouse to BTC trading to Europe-based customers. As it’s a registered institution, it provides a secure environment but also requires ID verification. Safello deals with credit cards and SEPA as payment methods. Safello has their own support staff to address and solve queries. when purchasing, fees are not shown separately form the BTC value. 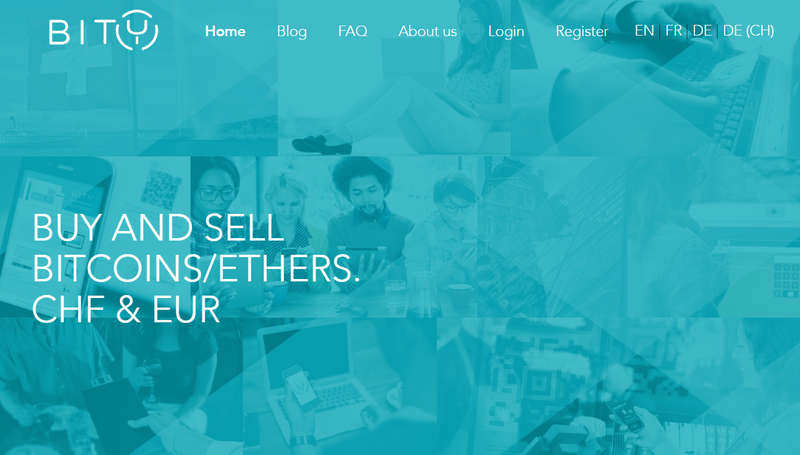 LiteBit is a European marketplace platform that operates on the European continent. It supports multiple methods of payment, using SEPA, iDeal, or Giropay. 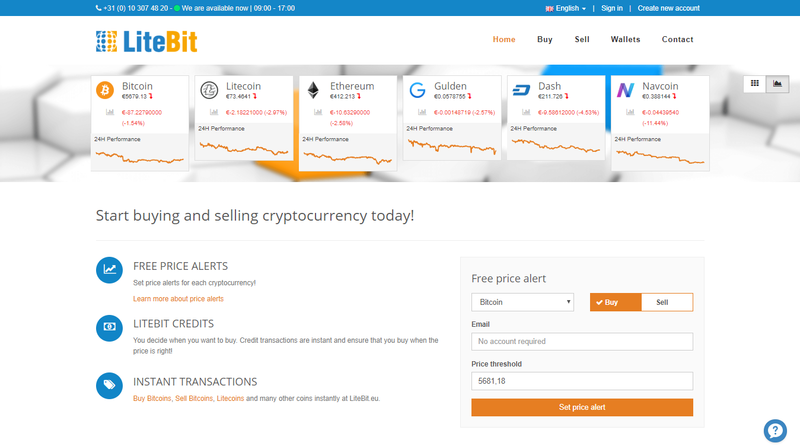 LiteBit provides privacy for BTC traders as no verification documentation or process is required to buy coins. provides privacy without verification requirements. fees are not shown separately when buying bitcoins. 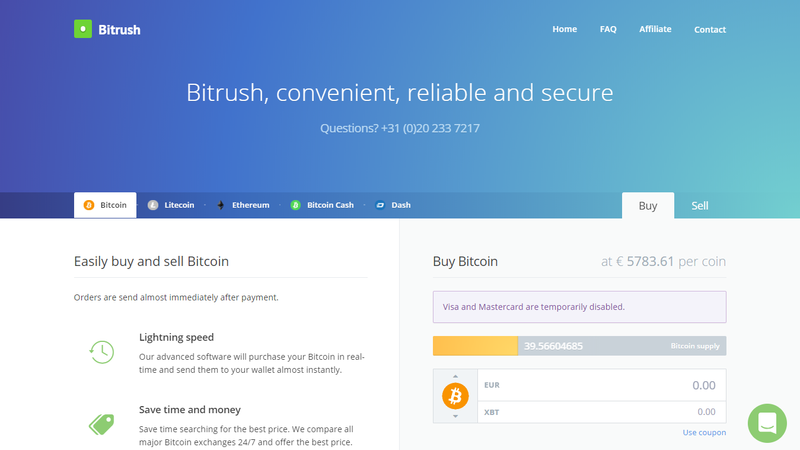 Bitrush is one of the online exchange platforms that are based in the Netherlands. 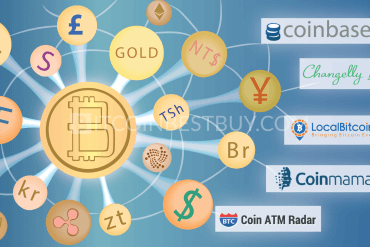 It provides multiple methods to buy BTC: such as iDeal, MyBank, or iDeal. Bitrush is considered easy to use for newcomers and new BTC traders. Since it works as a third-party, you will need to build a trust network before fully benefiting from Bitrush. It is also one of the exchanges that require an ID. fast delivery to the bought BTC after the payment is issued. ID verification required so no privacy. 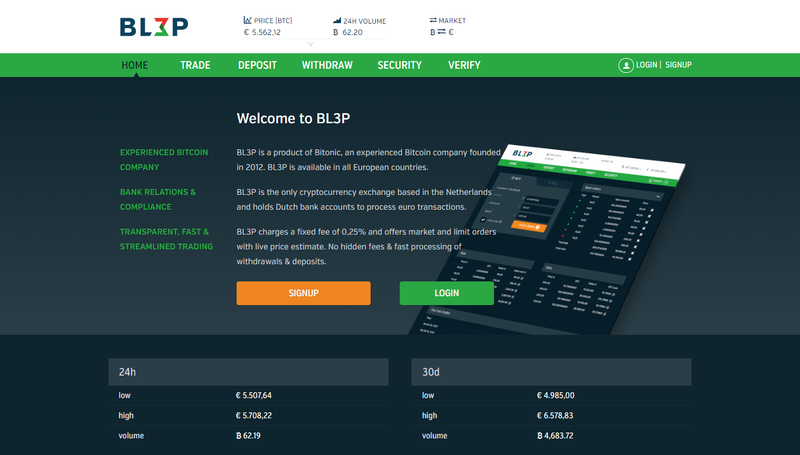 BL3P, or Bitonic, is a BTC exchange that was incepted in 2012. It is very popular and reputable working in the Netherlands and as many other prominent names, it is considered to be one of the first known exchanges working with BTC trade. Moreover, one of the trusted exchanges based in the Netherlands. speedy delivery of BTC after the conclusion of the transaction. can be confusing to new users. Not only Bity brokerage is a BTC exchange but it also works as an ATM operator. This is considered a huge plus when it comes to the facility of cashing out BTC. Bity brokerage is located in Switzerland. Until now, they have 5 active ATMs. processes transactions in a timely and an easy manner. traders can deposit funds through bank transfers only. 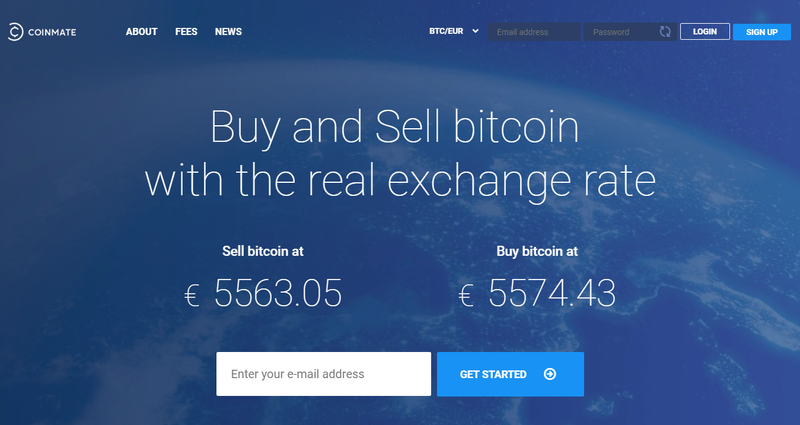 To add to European-based exchanges, Bitcoin.de is a peer-to-peer exchange platform that allows you to trade in BTC. 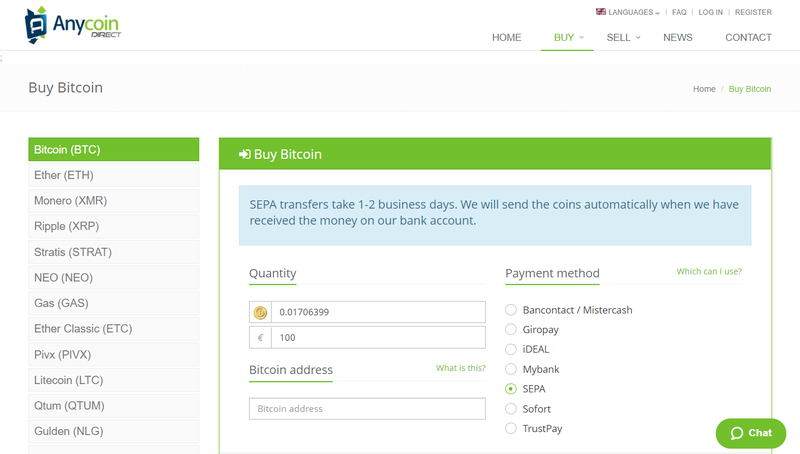 Provided that you deal with other Bitcoin.de users, you can buy from them using only SEPA Bank transfers, making it limited when it comes to payment methods. It is one of the first and reputable exchanges trading in BTC. undergoes stern and regular audits. CoinMate is one of the most featured names when it comes to BTC exchange trading. 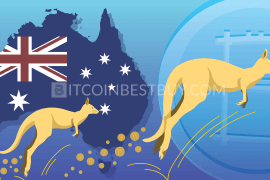 They are known for providing one of the best flat rates when it comes to trading with BTC. The exchange is located in London, UK. CoinMate provides limited fiat currencies in relevance to other BTC exchanges. show the real-time rate of selling and buying live. Bitsquare performs with a unique function in comparison to its counterparts. Bitsquare escrows bitcoins from both the ends of the transaction i.e, Bitsquare holds the funds in their accounts until the transaction is concluded. 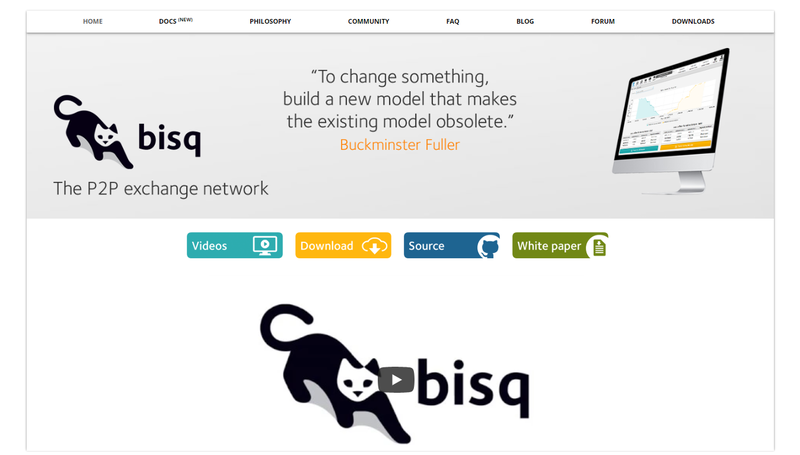 Bisq is better as a choice for seasoned BTC traders. provides low fee which is 0.0008 BTC. must have BTC to begin trading with BTC. 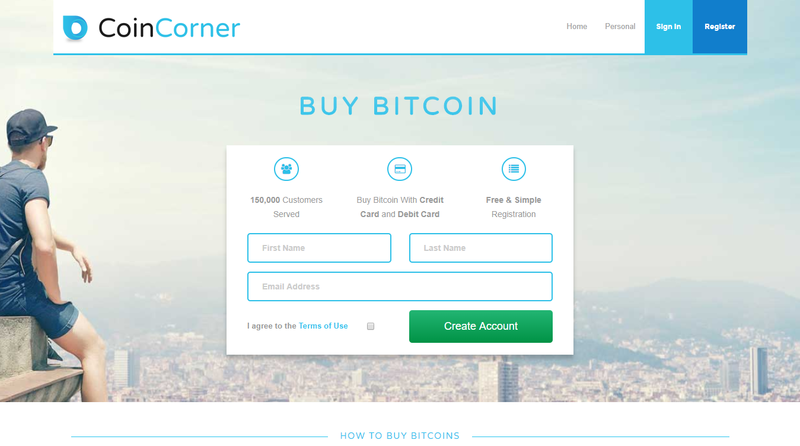 CoinCorner is focused more on those who debuts in dealing with bitcoin. They serve a wide array of countries such as Canada, UK, Australia and Central Africa. They are based in the Isle of Man. CoinCorner has diverse options when it comes to payment methods, which includes Visa/MasterCard, debit cards, SEPA, GBP bank transfers and Netteller. considered as fairly easy to use for starters in crypto arena. requires identification and therefore is not private to trade with. 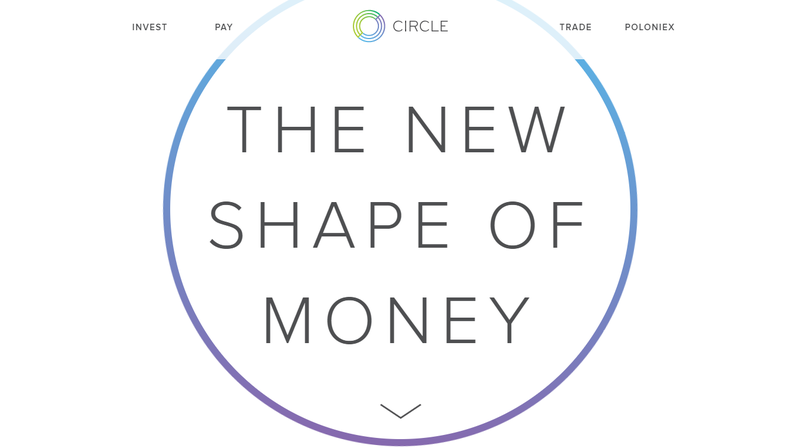 Circle exchanger is quite easy and versatile to use, their motto being “On a mission to create a more inclusive global economy.” Its most prominent usage is via its downloadable application. Since December the 7th, 2016, Circle exchange does not allow trading via their services and refer to Coinbase. We will discuss its previous merits and downsides. can send cash via SMS text. fees on credit cards amounting to 2.9%. 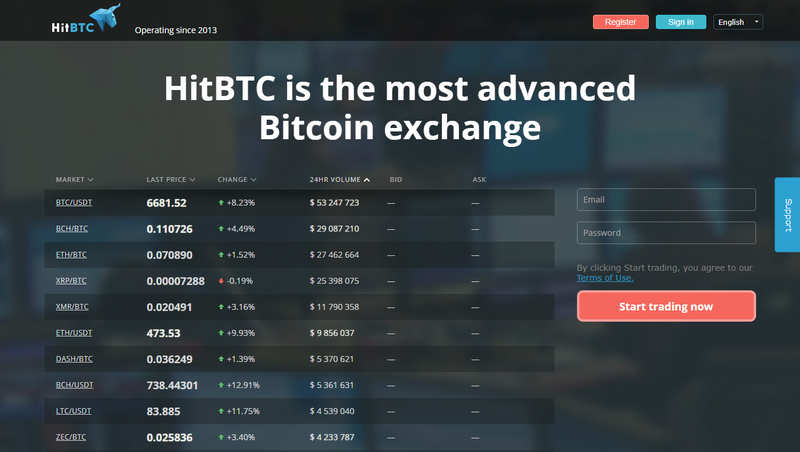 HitBTC is one of the most secured and critically acclaimed online exchange platforms. They provide a meticulous 2-step verification process and support API functions that can make BTC trading easier and more time efficient. Due to its security regulations, it requires to register an account and providing information. good liquidity source as you can trade big amount of bitcoins at this platform. 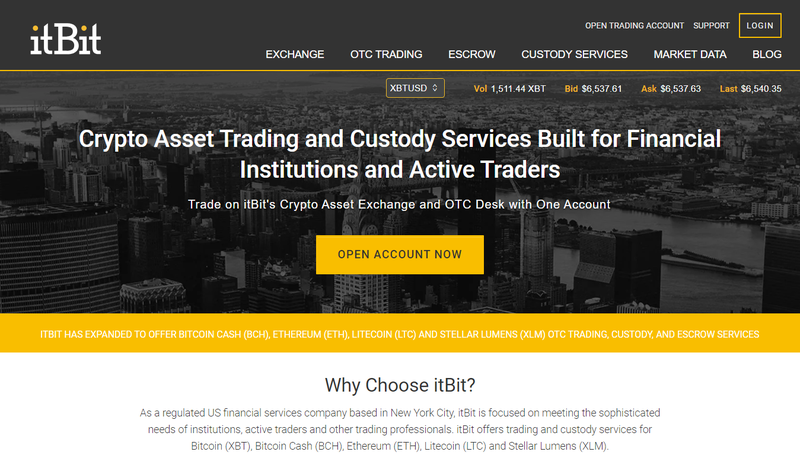 ItBit is a BTC exchange that has no limitations on countries it serves whilst being licensed by the NYDFS (New York Department of Financial Security). itBit is one of those platforms where you can use bank transfers only as a mean of deposit. Verification is required as a measurement of safety due to numerous hacking incidents in the market. Fees range between 0% and 0.2%, depending on the type of orders you make (maker or taker). 0% fees on market sellers. not user-friendly compared to other exchanges. One of the popular names when it comes to BTC trading is BitPanda exchange. The platform is renowned for its payment methods options and varieties, including credit cards, bank transfers and e-payments (Skrill). BitPanda is a good choice if you want to trade using credit cards as it imposes low fees on credit and debit cards transactions. provides a wide range of cryptocurrencies. verification needs to be completed prior to the trade. Another exchange akin to platforms based in the Netherlands, making it one of the considerable options if you are willing to buy bitcoins. Anycoin serves a great portion of European countries with ease. Anycoin works with a multitude of payment options as well as many cryptocurrencies. Anycoin provides higher trading limits the more you deal with it. various types of altcoins, not just BTC. 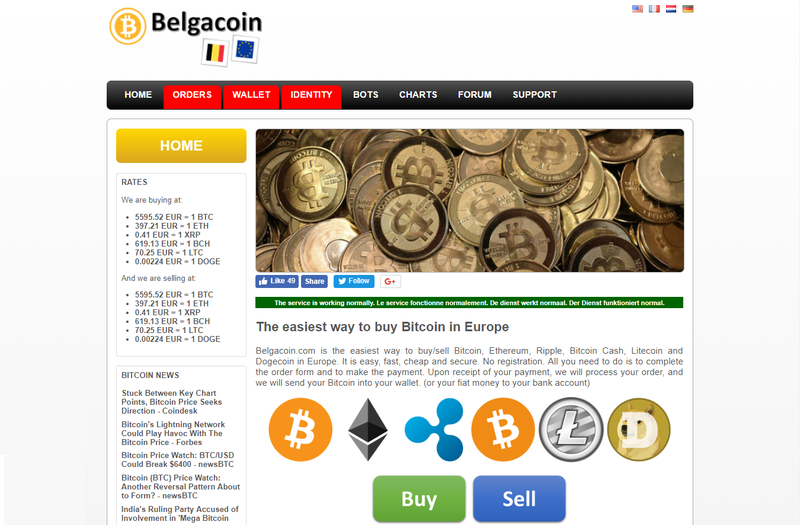 As the name suggests, Belgacoin is one of the exchanges based in Belgium. The interesting feature about Belgacoin is that it does not require identity verification if you want to proceed with buying or selling BTC. Since only bank transfers are accepted, once the purchase is confirmed, you may wait up to a business day for the order delivery. easy for an average user. 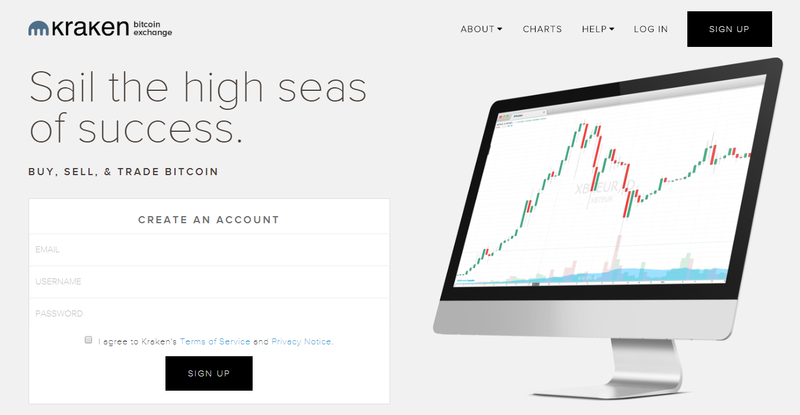 Xapo is one of the growing BTC exchange platforms. It is basically a BTC wallet and more of a vault, thereof. Xapo is considered to be very user-savvy and a secure environment to trade. Xapo can act as a safe, or a vault, to store your BTCs as well as trading with them which can be useful for speedy transactions. It is available only on phone platforms, such as iOS and Android. secure BTC wallet free of charge through its vaults. available on mobile platforms only. SpectroCoin deals with many types of cryptocurrencies such as Ethereum, Nem, Dash and BTC. It offers the option to participate in exchanging and maintain a cryptocurrency wallet. Many feedback from customers states that delivery time of BTC may take a while to receive your bitcoins. they have a fast responding as well as active customer service and support team. Well, since we are talking about cryptocurrency, might as well add some cryptology and speculative conspiracies to it. Although SATOS provides efficient customer support, the site can be challenging for new traders. It is a reliable exchange as it operates in the Netherlands in spite of the lack of payment methods as only bank transfer are accepted. active live support team to respond to queries and issues. 247Exchange is an active, diverse and fast-paced exchange to trade in BTC. 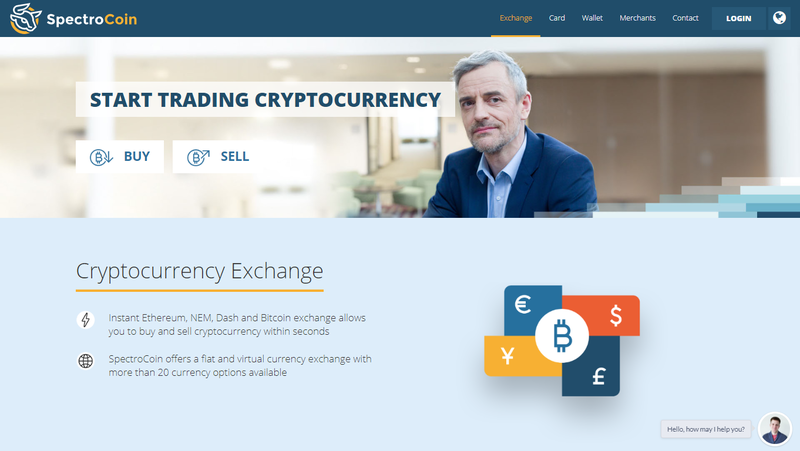 247Exchange provides a platform to trade in BTC in a large number of countries, including the Netherlands. You can purchase coins with the help of credit cards, iDEAL, SOFORT and SEPA transfers while available fiats are EUR and USD. BTCs purchases are delivered instantly. 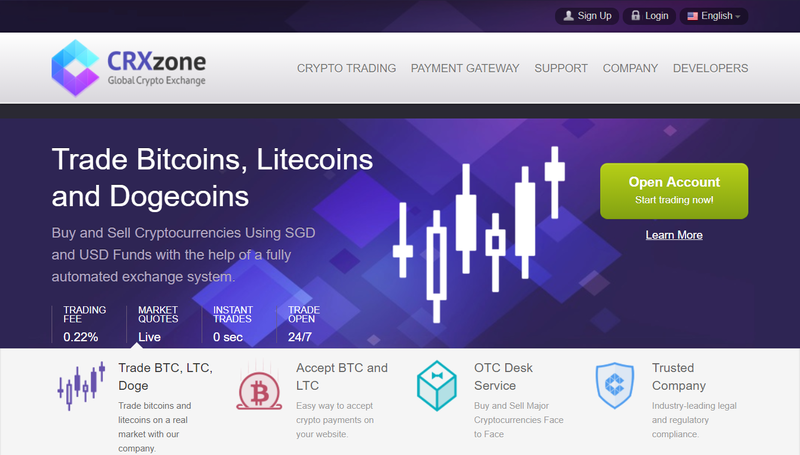 Based in Hong Kong, Gatecoin is a name to be reckoned when it comes to BTC trading. Gatecoin forte is in trading with bitcoin and Ethereum. They operate in more than 40 countries across the world, thus Dutch traders are included in their service availability. Although it had adequate security measures, it was hacked in 2016 which resulted in its reputation to fall down considerably. provides a near to fair market value rate. The key feature — or difference, come to think of it — of Bitit is that works mainly with credit and debit cards. 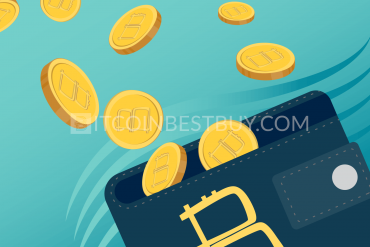 Bitit is a good choice if you are more inclined to trade using credit and debit cards to purchase BTCs. You have credit cards, direct banking and cash vouchers as payment methods, with fees ranging between 3% and 11.9% depending on the chosen method of purchase. provides options for Gift cards. a weekly limit of €500. 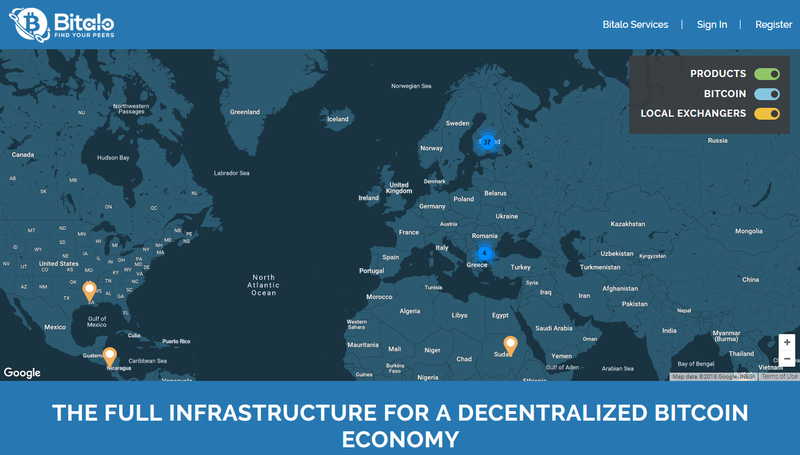 Bitalo is a peer-to-peer exchange platform. 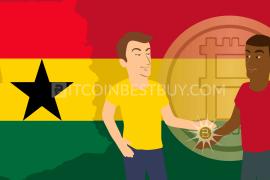 It provides the options to search for people willing to exchange, locally or globally and for people who are willing to sell products for BTC. Bitalo is preferable to veterans as new users will need to build a network of trust for themselves, to facilitate buying and selling BTCs. variety of payment methods available. a small number of coins can be bought most of the time. 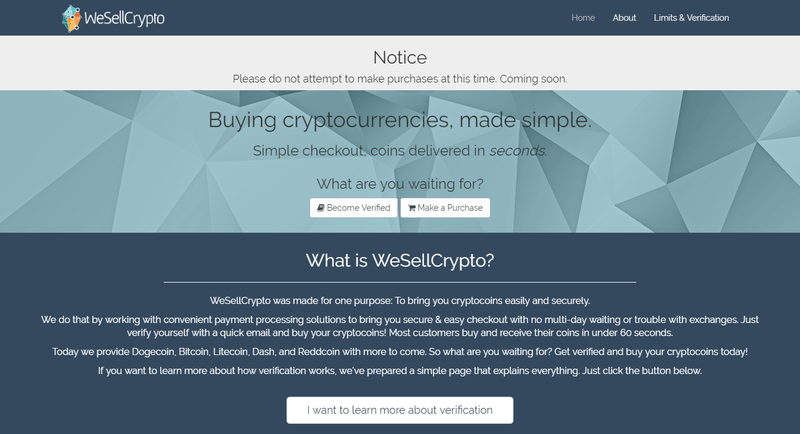 WeSellCrypto is one the safe and secure methods as well as exchanges you can use to purchase BTC online. Currently, they are disabling payment until further notice as they are evaluating further payment processing solutions and advise customers to join a mailing list to be notified of developments and updates. provided a service level agreement of one minute when it comes to buying and delivery. service is disabled at the moment. It is considered affiliated with Coinbase, even some hold it as Coinbase online exchange platform; GDAX is one of the biggest BTC exchange marketplaces working in the USA. You can enrich your account with GDAX via bank wires. Fees range up to 0.2% if your orders are considered to be adding liquidity to the market (maker orders). good supply of bitcoins to the market. no privacy when you use GDAX for BTC trading. 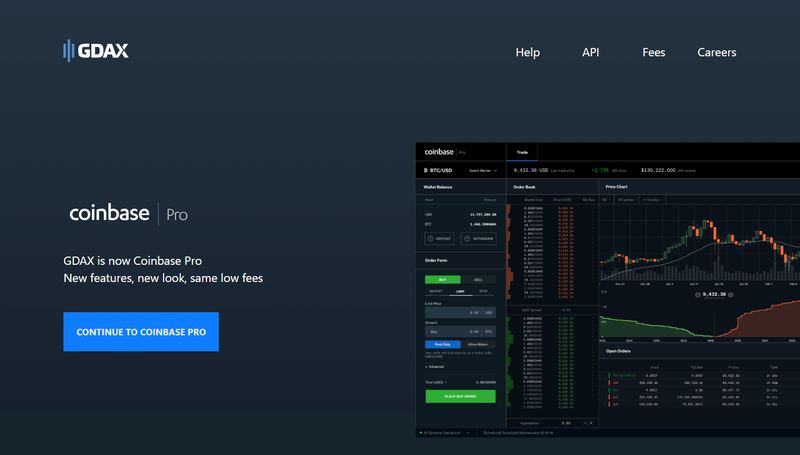 On June 29th, 2018 GDAX announced that it moved to Coinbase Pro, although the work of GDAX APIs will be uninterrupted till December 31st, 2018. A notable hub for online trading, especially for BTC exchange. 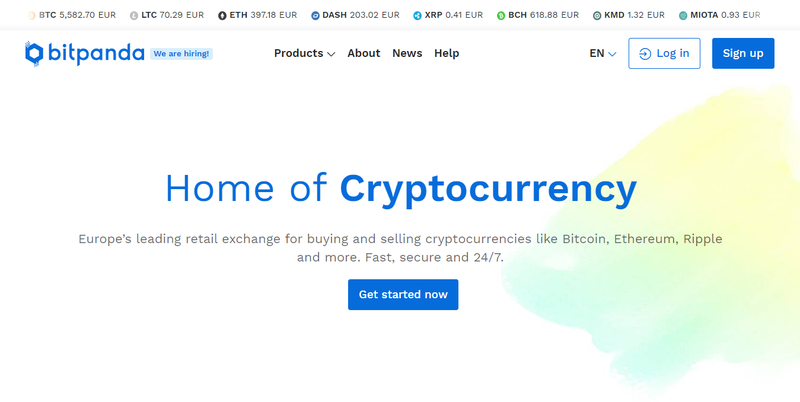 Since March 15th, BitBay began to support trading with Ripple as a new cryptocurrency available on the site, expanding their cryptocurrency range. Its downside is dealing with limited fiat currency, USD, EUR and PLN. They work with many cryptocurrencies. deals with large collections of cryptos. does not offer a wide range of fiat currency. 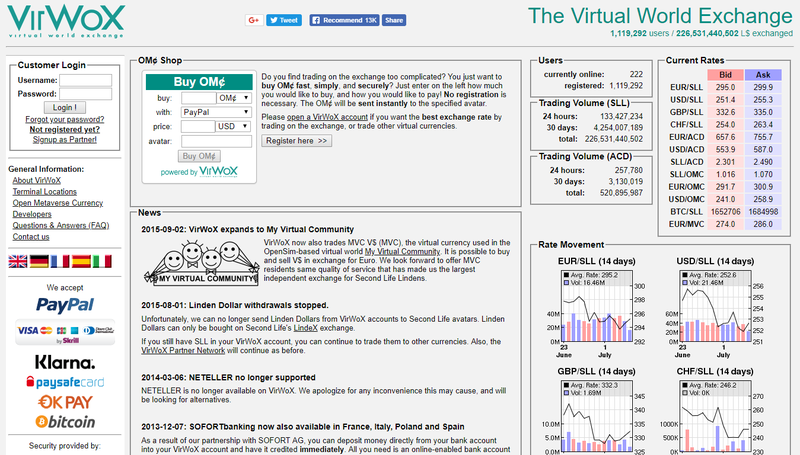 The interesting thing about VirWoX is that it is basically a hub for trading in Lindens, a Second Life, a popular virtual platform, as in-world currency. It is an option if you are considering buying bitcoins in the Netherlands though you should know that direct purchase is not possible. You pay up to 10% in fees, as you need to deposit money, buy SLLs first and then trade them with BTC. not user-friendly due to the complex purchase process. 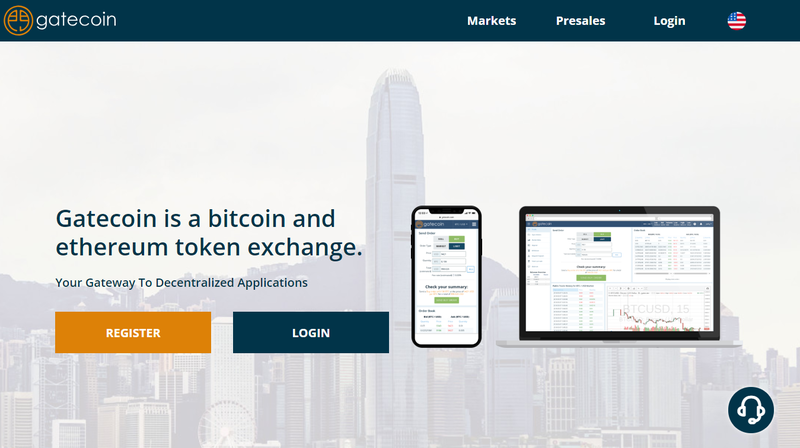 Coinmama is a worldwide BTC exchange platform. To use Coinmama, you’ll need to have a bitcoin wallet. Covers a wide range of countries, Netherlands included in its serviced regions. It allows dealing with debit or credit cards only, meaning that bank transfers and other methods are not accepted at the platform. It is very effective when it comes to fast and easy purchases since credit cards and purchase forms are quite easy to use. coins are sent directly to your external wallet address. requires identity verification when you create your account on their website. 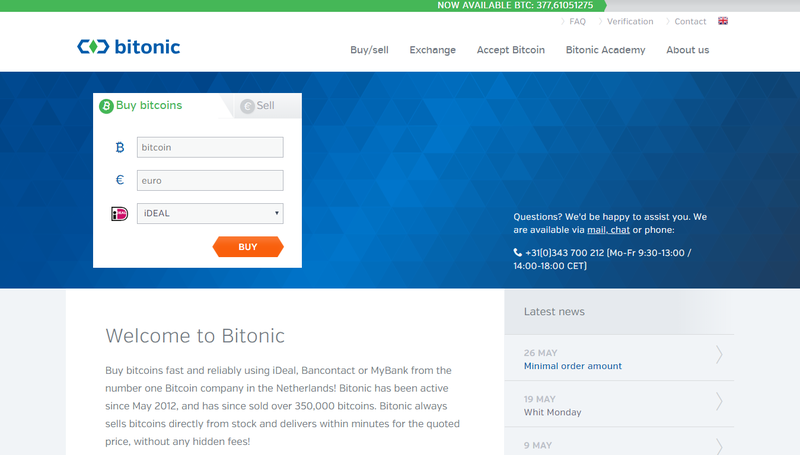 In 2012, Bitonic was founded in the Netherlands, which is an online exchange platform that supports trading BTC. Bitonic is quickly gained popularity amongst the BTC trading scene due to its prompt service. 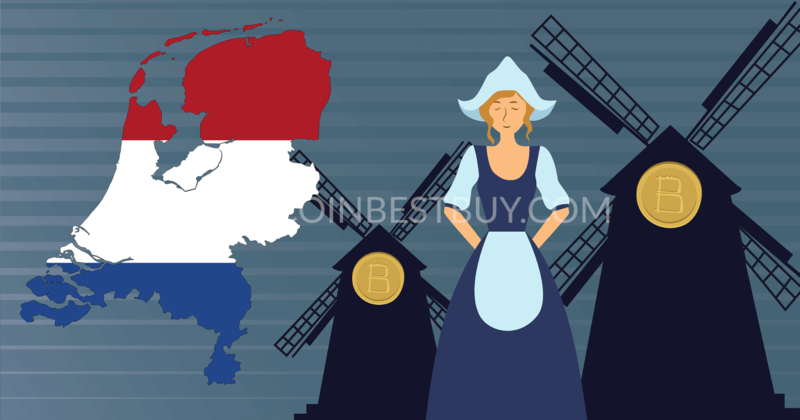 If you want to buy bitcoins in the Netherlands, it is one of the options you should consider as it operates locally. it does provide a degree of privacy, provided you work with TOR connection. only bank transfers work on this platform. Mycelium Local Trader assembled local bitcoin sellers and connects them with potential buyers, arranging a meeting in person. 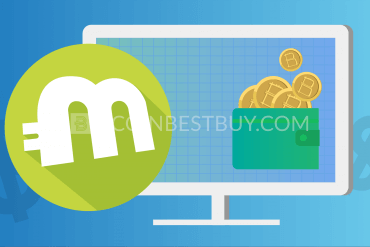 Normally, trading with Mycelium makes use of BTC wallets. It can be considered as an Uber service for BTC traders. No further information than a cell phone is needed to operate within this P2P marketplace. dealing face to face helps eliminate transactions fees. 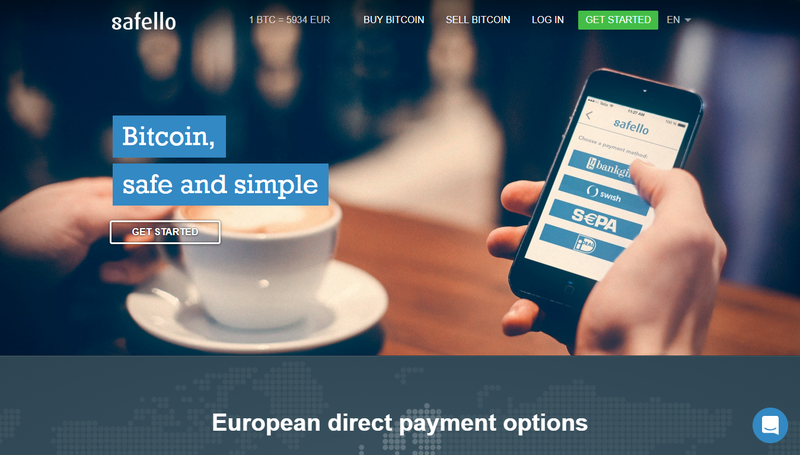 Cointed exchange operated mainly within Europe, allowing the customer to buy and sell BTC using SEPA, wire transfers, bank transfers, or cash, thereof. The unique feature of Cointed is that it provided 9 working ATMs across Austria. It works with various payment methods, whether they are cash or other online payments or wire transfers. allowing for large liquidity and retail options. ATMs come with large purchase fees. Paymium is considered to be one of the first exchanges working in Europe. It is founded in 2011, before many other exchanges. Paymium works in compliance with European regulations and is considered to be an imposing establishment in the European area. You can use its mobile platforms for iOS and Android apps to trade BTC on the go. provided and supports mobile apps. only EUR supported by fiat money. 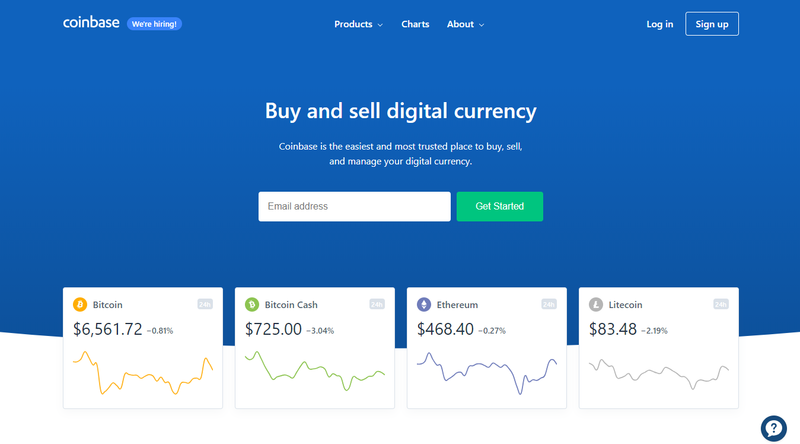 Not only it operates and covers Europe, Coinbase is considered to be the largest BTC broker in the world. Coinbase offers bank transfers and credit cards when it comes to BTC purchase, while PayPal is available for withdrawals. Fees range from 1.49% to 3.99%, depending on the chosen method. instant access to coins through credit cards. bank transfers can take 5 working days to conclude. 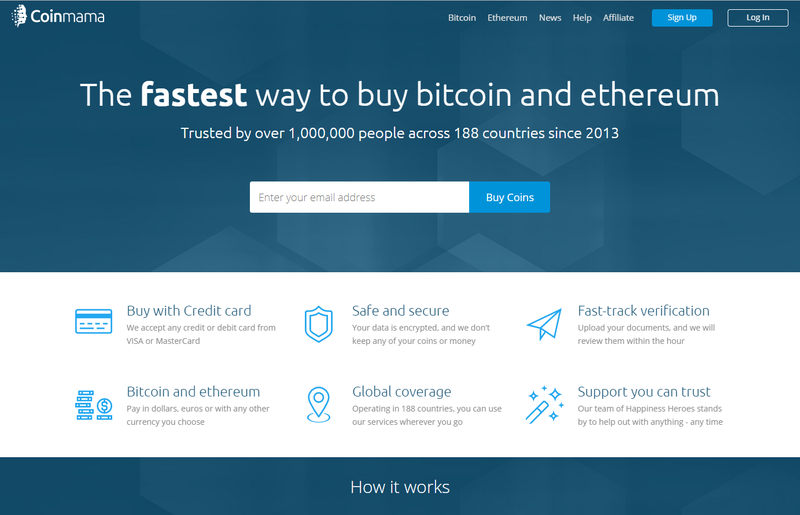 xCoins is an online exchange platform that allows you to purchase BTC online using credit cards and PayPal. It operates with a mindset of a bank as it generates revenues using the difference between loans’ fees and lenders’ interest. xCoins is partnered and affiliated with many reliable economic entities. In exchange for security and privacy, xCoins provide limited payment options. you do not actually own BTC but borrow them instead. ShapeShift exchange was founded in 2013 and is located in Switzerland. Initially, it started to work as an iOSBTC exchange only and then it expanded to work on and support web and mobile platforms. Now, ShapeShift operates actively through mobile and PCs as well. ShapeShift acts as an intermediate, or an escrow, holding the funds as a broker until the transaction is completed. fees are not transparently shown. LocalBitcoins matches BTC buyers and sellers, acting as a third-party until the transaction is completed, somehow similar to the Hawala system. It is one of the largest P2P platforms in the world, where you have an abundance of choices when it comes to fiat currencies and payment methods. huge choice of payment options and fiats. usually small amount of coins to be traded. 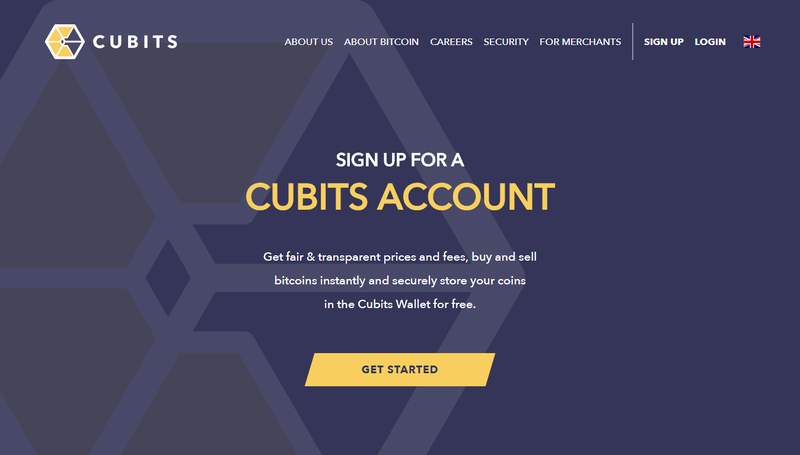 Based in the United Kingdom, Cubits bitcoin exchanger permits worldwide BTC traders to purchase BTC a vast range of currencies and methods of payments. 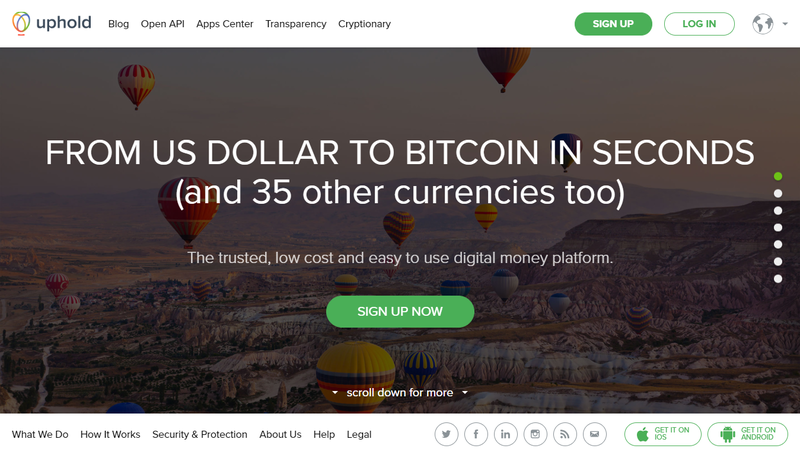 The platform provides a vast range of “real” currencies to use when buying BTC, up to 20 flat currencies. You also have several payment methods such as SEPA, SWIFT, credit cards and OKPAY. 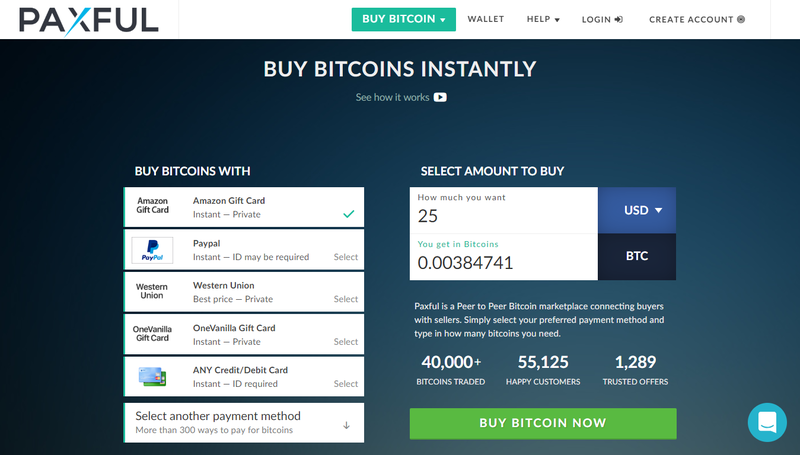 user-friendly interface that allows to purchase BTC easily. ID verification and thus is not private for BTC trading. 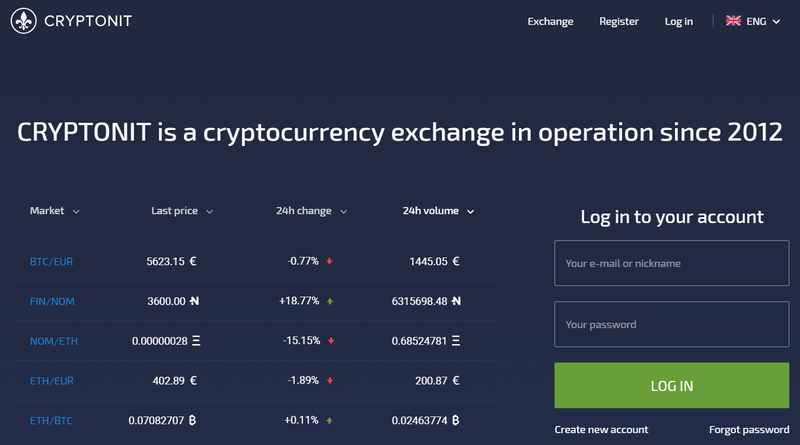 Yet another reputable and well-established exchange operating in Europe, Kraken’s exchange has a large daily trading volume. Kraken is one of the well renowned and trusted bitcoin exchange platforms, rendering it a trusted option when if you want to use it to buy bitcoins. Apart from the regular exchange, it also offers simple trading services using bank transfers only. up to a certain monthly volume privacy is ensured. deposits possible solely through bank transfers. LakeBTC is located in China and is one of the largest BTC exchanges operating in the region. 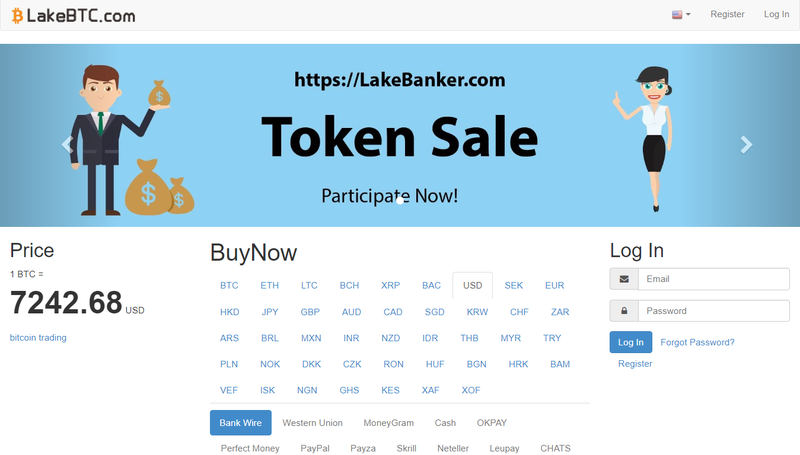 LakeBTC works with a wide range of currencies you can use to buy BTC. 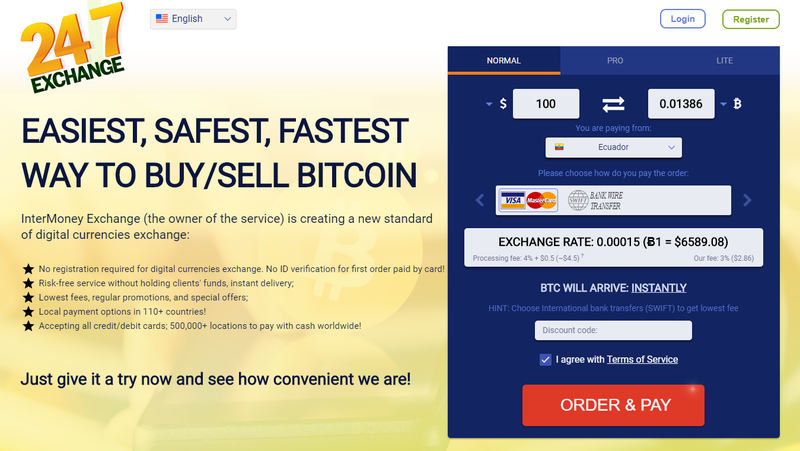 Moreover, is a well-trusted and established BTC exchange as well, offering large choice when it comes to fiats and payment methods. provide a vast range of payment methods such as PayPal, Skrill, Neteller, or LakePay. low level of privacy in exchange for security. 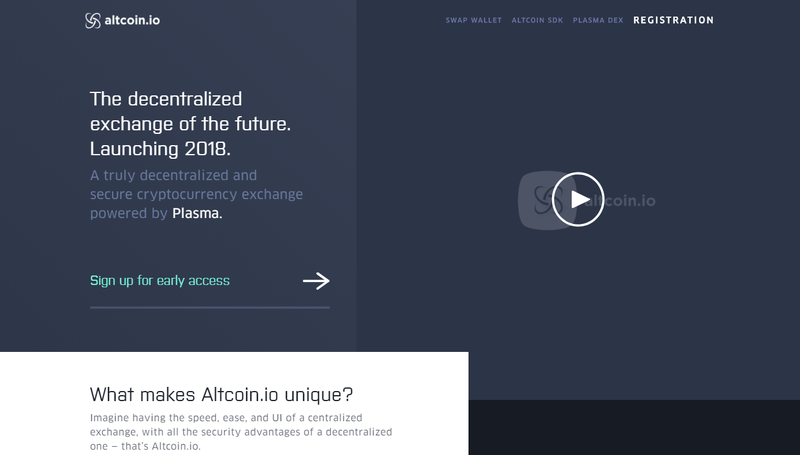 Altcoin.io, as the name suggests, is an upcoming BTC exchange that is supposed to be launched this year. Currently, the site is allowing potential customers and traders to sign up for early access to use the exchange once it is fully launched. One of the exchanges that allow traders to purchase BTC using 3D Visa or MasterCard debit and credit cards. Coinhouse Platforms’ forte is that it allows traders an immense buying limit threshold. Coinhouse is good if high buying limits are to be considered. 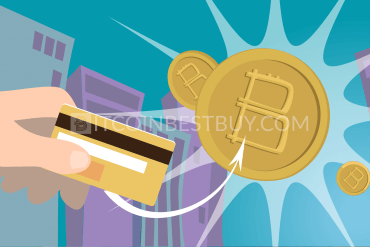 using bank cards, you can get your hands on BTC fairly fast. the verification process of Coinhouse extensive and complicated. BTC-e was a shining name amidst the BTC exchange platform scenes. It was founded in 2011 and was located in Russia. 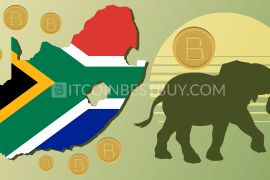 On February 2015, it is claimed that it handled the total volume of 3% of BTC trade worldwide. 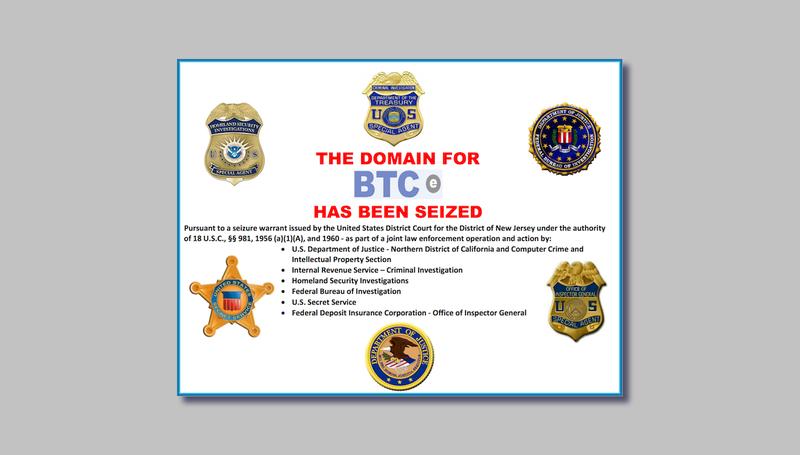 BTC-e is closed now and seized its control by FBI, meaning that the platform, alongside with coins stashed in it is gone. It serves as a reminder to always be careful when choosing your platform to trade bitcoins. CEX.IO started as a cloud mining provider. 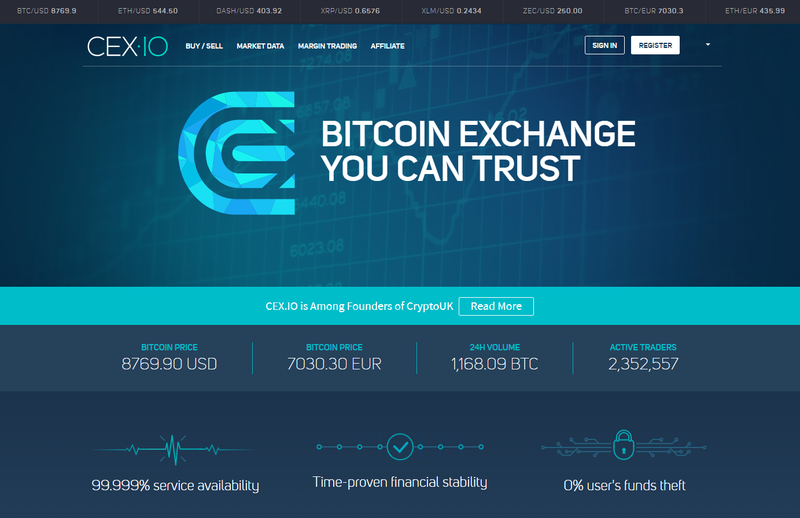 CEX.IO trades with BTC, offering money in currencies like USD, EUR, GBP and RUB. CEX.IO supports many payment options, such as Visa, Mastercard and even bank transfers while fees range between 3.5% to 5% for deposits plus additional 0.2% for maker/taker costs. strongly secured against DDoS attacks. several transactions & deposit fees apply to trading. According to Coin ATM Radar, there are a total of 18 operating bitcoin ATMs in The Netherlands. Five of them are concentrated in Amsterdam alone. 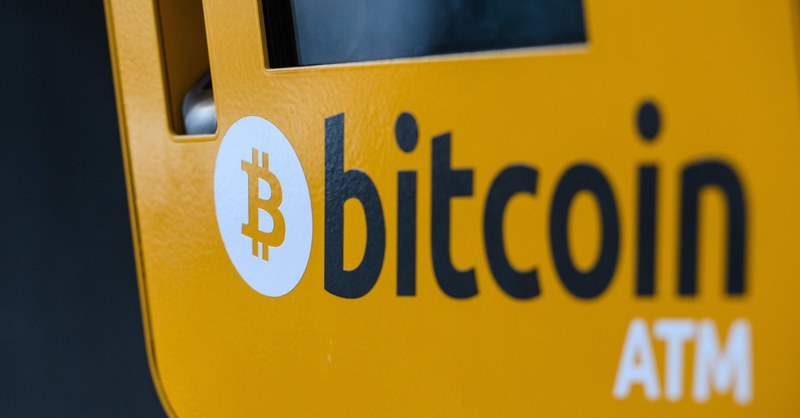 Their ATMs can provide excellent retail options and services for those who want to use their stash of BTCs around and about. They do dome with large fees while services hours are not always representative of real working time. transactions are carried out instantly. rural regions have a scarce supply of machines. We have briefly explained about the best BTC exchanges that are reachable if you happen to live in the Netherlands. The key factors affecting the choice should depend on whether you want to buy bitcoin anonymously. Would you want to buy bitcoins instantly? Maintaining a wallet? Would you like to eliminate the transaction fee as much as you can? Is your top concern safety? 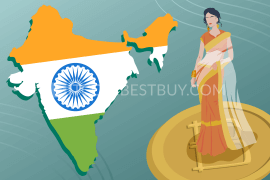 These questions’ answers determine the best BTC exchange suiting your needs. The answer to this question lies in a simple fact that you need to seek exchanges that do not require the user or trader verification, for example, xCoins, Mycelium Local Trader, Bitonic (using TOR connections), Bisq, LiteBit European marketplace and Happy Coins. The aforementioned exchanges, amongst others, provide a solid sense of privacy and anonymity if you want to buy bitcoins discreetly. However, there is no guarantee concerning the taxation imposed on transactions, as some of these exchanges are subject to trading regulations and monitored accordingly. According to the law, in order classify bitcoin as a digital asset or digital monetary medium, it has to be issued by a centralized entity. As this is not the case, for bitcoin is a decentralized medium of currency, bitcoin is not classified as a digital asset in the Netherlands. 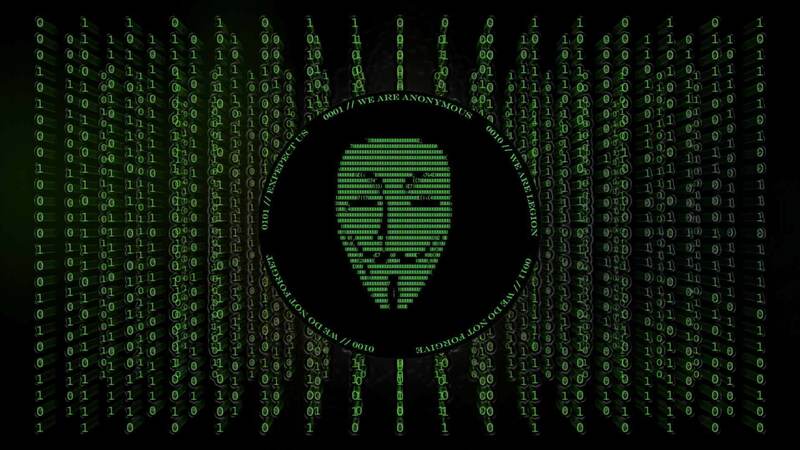 The fun part is that it is decided by the Dutch law that cryptocurrencies are methods of payments, not means of maximizing wealth, making it a great medium to achieve revenues without any tax requirements but you are also not protected from scams and hacking incidents. You cannot get insurance for things you do not pay taxes for. To summarize our discussion about buying bitcoin in the Netherlands, now we will show you what to use in order to safely store them. There are two types of bitcoin electronic wallets: hard (cold storage) wallets that provide the safest place to stash bitcoins. 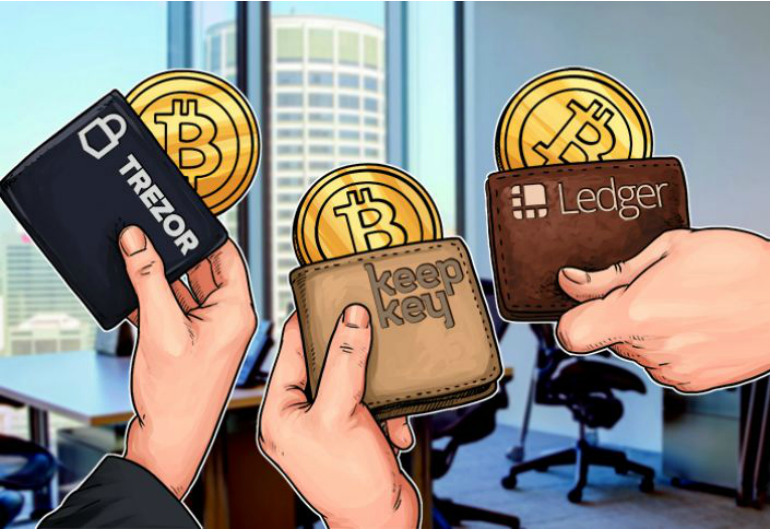 The most recommended when it comes to HD wallets would be Ledger Nano S, TREZOR and KeepKey. They come with private keys, physical buttons used for transfer confirmation, software protection and offline/online mode of functioning.